The Spa at Lakeshore Athletic Club - Get Involved. Make Friends. Enjoy Motherhood. 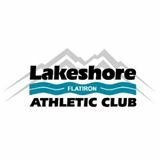 Lakeshore Athletic Club is proud to be the community wellness partner for Mod Moms North. Fitness and fun for the whole family. LAC offers indoor and outdoor pools, extensive cardio and weights machines as well as many incredible classes for adults and kids alike. LAC also offers a wonderful NAECYE-certified preschool and many great kid programs through KidShore.